P20 Steel, 718, 2738, H13, NAK80, 2344, 2343, S316, M300,etc . 1. They are Mainly use NAK80 mold material in good polishing performance, good appearance and high hardness. What are the specifications for plastic molding tools? Mould material P20 steel, 718, 2738, H13, NAK80, 2344, 2343, S316, M300,etc . Specification drawings Pro/E, Auto CAD, Solidwork, CAXA UG, CAD/CAM/CAE. Surface finish process polishing, sand blasting, heat treatment, painting, powder coating, anodizing, electroplating, mirror polishing . Service OEM service available, good after-sales service . Lead time 4-7 weeks, 40 days or according to the real situation . Delivery: by air or by sea. With the strict quality control ,it can keep long life time, can reach more than 500000-1000000 shouts and up.We guarantee you one year for repair. What ‘s the Order process? 1.R&D We support your R&D. Make the files or improve the design if you needed. 2.Negotiation the quality, price, material, delivery time, payment , ect. 3.Place an order according your own design or you choose our design. 4. Mould According customers request to build the mould. Before make the mould, we send mould design to customer approval first before production; we send samples to customer to confirm first. 5. 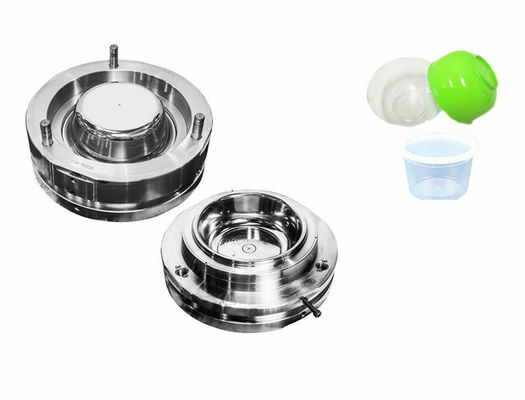 Sample shoot If the first sample come out is not satisfied customer, we modify the mould and until meet customers satisfactory. 6.Products in store If your quantity is beyond our storage, we will provide lead time to you. 7. Delivery Delivery goods by sea or by air, according customers requirement. 1. 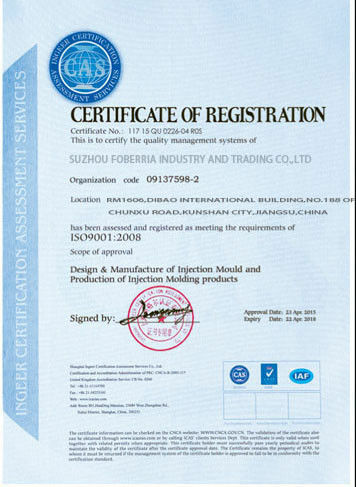 Competive price,High quality raw material,Advanced and professional facility,perfect procedure. What kind of services we provide for ? Every week update production information. 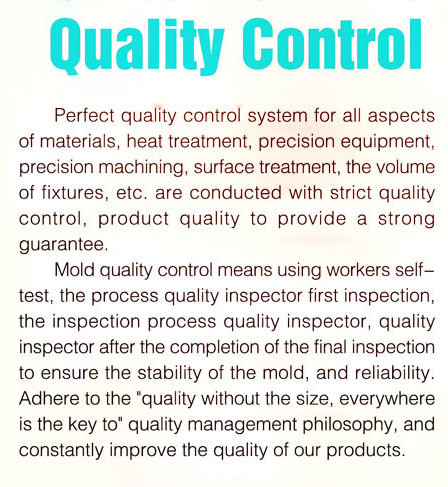 1: Which kind information need for quotation in FBR MOULD? 4), Mould steel type,P20, 718, 2738,H13,S136,2316,an so on. 6: Why choose FBR MOULD? All of our mould steel have certificate with longer mould life, mould produced by advanced equipment, the tolerance can reach +-0.01mm,the molded product have good appearance without any flash and good fit with other products.